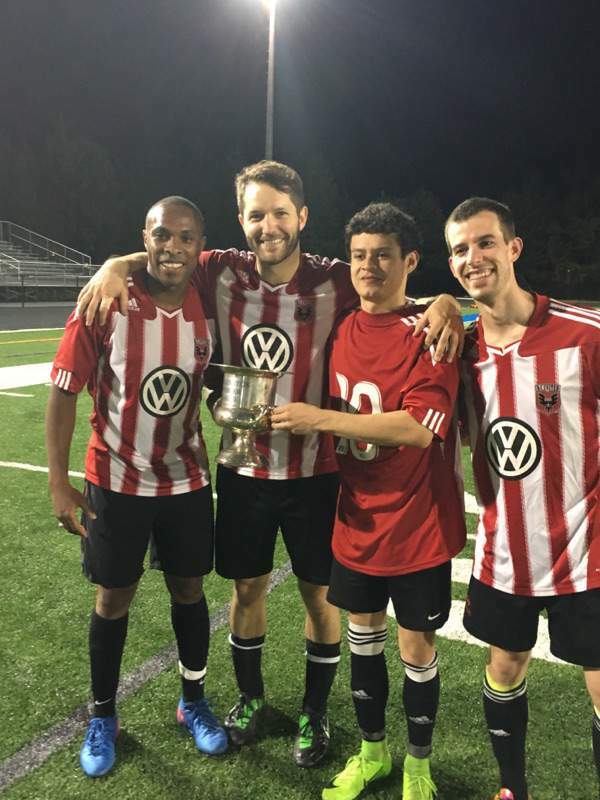 Finito FC faced Fado Irish Pub/Conquistadores on Tuesday night June 27th at Harold Stalnaker Stadium at Fairfax High School in the final Championship match of the Spring 2017 Helge Boes Cup. Representing the #1 and #2 seeds, each team by most measures earned over the long course of the long Spring the right to play in the Finale. Finito (#2) defeated #3 seed Yinz by a 2-1 in the Semi-Final, while in the other Semi-Final bracket #1 seed Fado Irish Pub/Conquistadores beat #4 Fighting Bobs also by a score of 2-1. In a tightly contested game, befitting a Finale, the 2 teams faced off characterized by the potent offense of Finito FC against a tighter defense of Fado/Conquistadores. Initially, Finito's attacking approach gave them several decent chances, and Fado were lucky to keep a clean sheet. They perhaps were even more fortunate on the other side of the ball, for against the run of play, an always deadly Fado offense got a lucky break to score and settle the game down a bit. Finito continued to press and were close close to scoring throughout the first half, while Fado remained a threat and with increasing calm begain to abosorb the pressure, ending the half with a 1-0 scoreline. In the second half, the game opened up and this happened from a free kick about 25-30 yards out from the Finito goal. Unsure as to whom was to take the free-kick, Conquistadores midfielder David Mejia stepped up and struck true, painting it in the near post upper corner that any keeper, even with foresight on the placement, would have had trouble saving. This goal opened up the game, as Finito stepped up their attack, with Fado/Conquistadores responding in equal measure. Fado midfielder Joey Roberts (perhaps wanting to get back at the free-kick by Mejia) from nearly the same position on the field as the spot kick and in the run of play struck a cannon shot at the far post, again with a shot that any keeper would have had difficulty getting his hands on it. The game continuted to become more open and more unsettling for Finito as a 4th goal was scored off of an assist on a freekick while Finito earned a PK which they converted late. 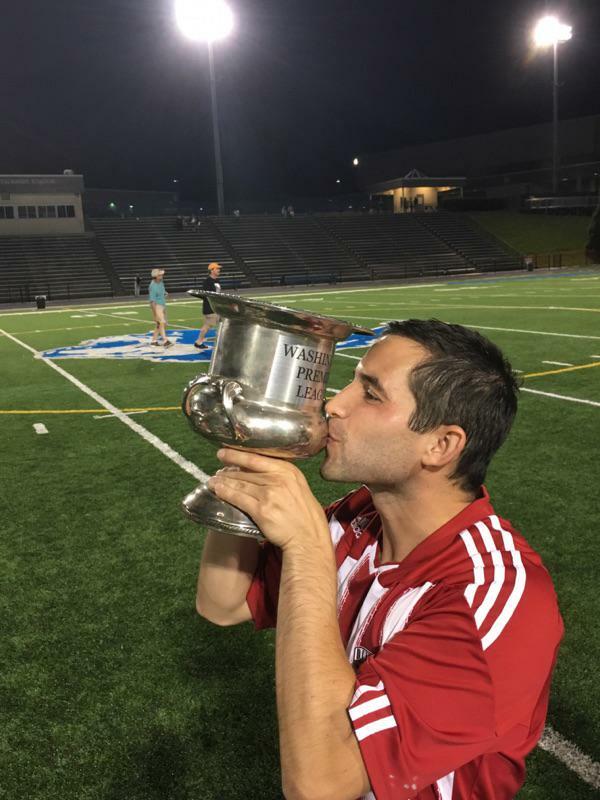 But not to be outdone, Fado scored yet another goal to cap off the 5-1 victory with a beautiful combination play through the midfield and bypassing the Finito back line leading to a tap-in. 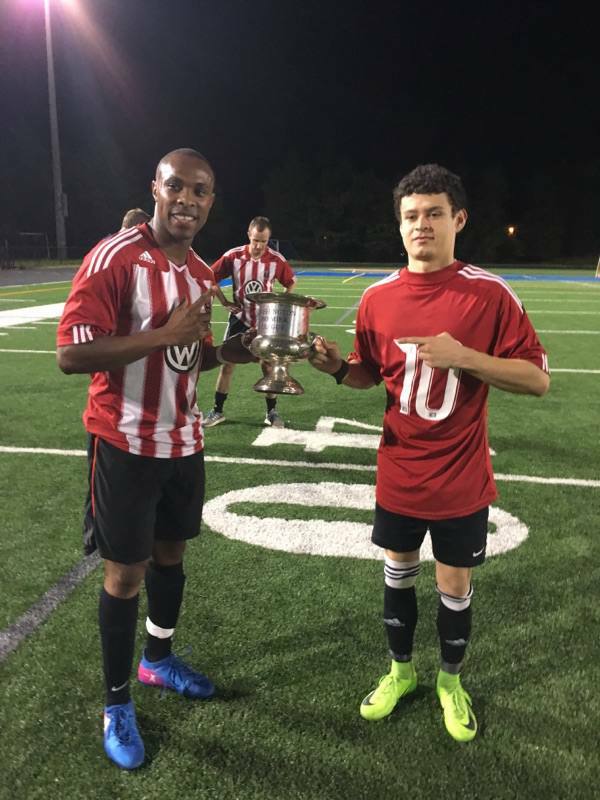 This ended the Spring 2017 WPL season between two worthy teams and representing the culmination of arguably the best Men's Amateur soccer in the Washington DC metropolitan area. 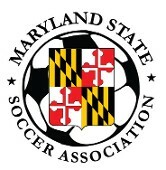 Both teams had very successful regular seasons, and worked hard to earn their berth in the Championship match. 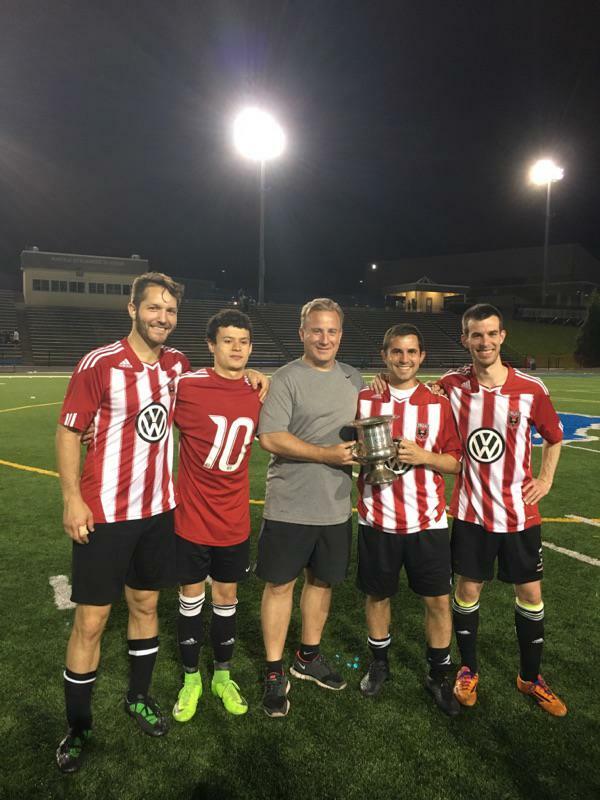 The Helge Boes Cup is the playoffs of the top-4 teams of the WPL regular season and named after Helge Boes, a long-time WPL player who died in service to our country in Afghanistan.